A good friend of mine, Miguel Lecuona, recently posted a beautiful video on CityWineJournal.com that he produced (and shot and edited!) for Vignobles & Chateaux, the excellent wine shop and school in St.-Emilion, in Bordeaux. Miguel was responsible for arranging many of our visits and tours during the Wine School of Philadelphia’s trip to Bordeaux this May; indeed, his work as our “man on the ground”--he’s lived and studied there recently--gained us access to some of the most important people and chateaux in the world of wine. This video, which he shot during one of our days in St.-Emilion, features Bruno Baillarguet, the owner of Vignobles & Chateau, and his brother Philippe, winemaker at the famed Chateau Ausone. Over the course of a day, we got a fantastic “insider’s view” of two of the most interesting, exciting appellations on the planet: St.-Emilion and Pomerol. In fact, the timing of City Wine Journal releasing this video couldn’t be better: Wine Spectator’s latest issue includes ratings for the 2007 vintage of Bordeaux, and Chateau Ausone, Philippe’s wine, received the second-highest score among the region’s reds in that difficult year, behind only such stalwarts as Mouton, Leoville Barton, Petrus, and Lafleur (the latter two of which are also Right Bank properties). Take a look at the video--it's linked up right here. 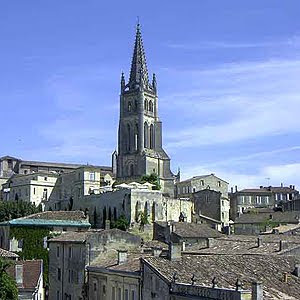 It’s a stellar St.-Emilion education, and flat-out beautiful to look at.